Do you find pockets of unwanted fat that are resistant to diet and exercise? No matter how difficult you may try, abdominal fat or double chins may not go away, and this may leave you asking, “How can I lose this unwanted fat? 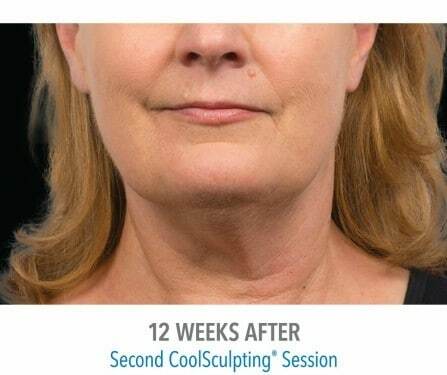 !” CoolSculpting in Bellevue could be your solution at Advanced Skin and Body Solutions! Now with four CoolSculpting machines, we can fulfill the high demand for non-surgical fat reduction. CoolSculpting is a popular body slimming, non-surgical treatment that freezes fat cells to improve areas of concerns of unwanted, stubborn fat that isn’t resolved by diet and exercise. This non-invasive treatment targets and cools the layer of fat under the skin, without discomfort or harmful side effects with the help of CoolSculpting’s controlled medical device. Patient safety is our number one priority, so we chose the one system that automatically shuts down if the built-in sensors detect the skin getting too cold. In addition, at Advanced Skin and Body Solutions, our Bellevue CoolSculpting specialists are expertly trained to provide a successful and comfortable procedure for each patient. In fact, Advanced Skin and Body Solutions has been awarded Diamond status for outstanding performance and has performed over 1,000 CoolSculpting treatments. Choosing a Diamond level practice ensures your provider has a vast amount of experience performing CoolSculpting for best results. At Advanced Skin and Body Solutions, we have four CoolSculpting machines, which means we offer Dual Coolsculpting, or the ability to treat multiple treatment areas at once! It also gives us the ability to treat multiple patients at once due to the growing popularity of this treatment. There is a variety of CoolSculpting options available along with Dual CoolSculpting, including different CoolSculpting applicators. 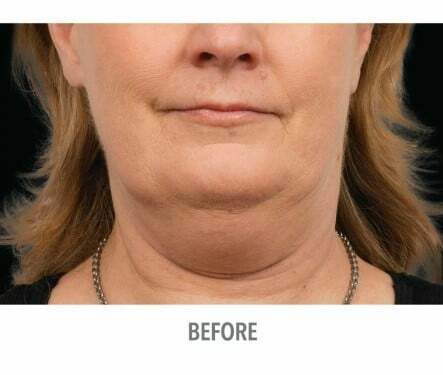 There is the CoolMini, which is the smallest applicator used for smaller areas like the double chin, distal thighs (above the knees) and bra fat. We also offer 4 other applicators in various sizes to help treat specific areas of the body, including the abdomen, flanks (love handles), back, arms, outer thighs (saddlebags), inner thighs, back of thighs (banana roll) and chest (men only). During your CoolSculpting treatment, we also offer food delivery (select from a menu of food delivery services like Uber Eats or DoorDash), Netflix, and will accommodate any appointment requests including Saturday, Sunday and evenings. During your CoolSculpting treatment, we also offer food delivery (select from a menu of food delivery services like Uber Eats or DoorDash), Netflix, and will accommodate any appointment requests including Saturday and Sunday evenings. CoolSculpting utilizes state-of-the-art technology, scientifically proven Cryolipolysis. This cooling technique targets fat cells with low temperatures, without damaging the skin or surrounding tissue, while killing off specific unwanted fat cells. Once the fat cells are frozen, they die and are naturally eliminated by the body. Once these fat cells are eliminated, fat cells do not return, potentially providing long-lasting results. Generally, patients see results as early as three weeks after their treatment, but the final results should be seen up to three to four months after treatment, giving time for the body to naturally process the dead fat cells. What is the CoolSculpting treatment like? During your CoolSculpting consultation, one of our Bellevue CoolSculpting Specialists will discuss a treatment plan based on your personal aesthetic goals. We will help you determine treatment areas, the number of treatments necessary to achieve your goals, and the type of CoolSculpting applicator needed. To begin the treatment, gel or a gel pad will be applied with the applicator to the area of unwanted fat. Some treatments may require a vacuum, which will draw your skin’s tissue up into an applicator cup. This may feel like someone is tugging or pulling on your skin, but it is generally tolerable. Cooling then will start soon after, which may feel intense, but will subside within 10 minutes once the treatment area is numb. Depending on your treatment area(s), a typically treatment may last 30 to 60 minutes. At our medispa in Bellevue, we want to ensure you’re comfortable as possible during your procedure, so feel free to enjoy a nap, read a book, or relax during your treatment. Once the procedure is complete, the applicator is removed. For some patients, they notice a frozen bulge. Our Bellevue CoolSculpting Specialist may warm the area by manually massaging and smoothing it out. CoolSculpting does not require downtime and many patients return to work after their treatment. Soon, you’ll experience a reduction in the treatment of a visible bulge! CoolSculpting is FDA-approved for the treatment of the abdomen, thighs, love handles or flanks, bra fat, back fat, banana roll, double chin (submental area), and upper arms. Since it is widely used across the body, if you have unwanted fat, CoolSculpting may be able to eliminate your imperfections for good! Unfortunately, this treatment is not for everyone. CoolSculpting is not a treatment for obesity. It is also not suited for those with a medical history that indicates the body cannot handle cold temperatures. Some of these conditions, disorders, and diseases include cryoglobulinemia, paroxysmal cold hemoglobinuria, and cold agglutinin disease. How Much Will It Cost to Achieve My Desired Look? At your consultation, you and your Bellevue CoolSculpting Specialist will determine the specifics of your treatment, including the number of treatments that will be needed and pricing. We now offer financing through GreenSky, as well as many other financing options. Learn more here; please note our provider number is 51003127. Why wait to feel great about your body? Start getting the results you want today! Contact us for your consultation now.